In celebration of its 25th year of typeface development, Adobe has released Source Han Sans, a new family of free, open source fonts that harmonizes East Asian and Latin font designs. 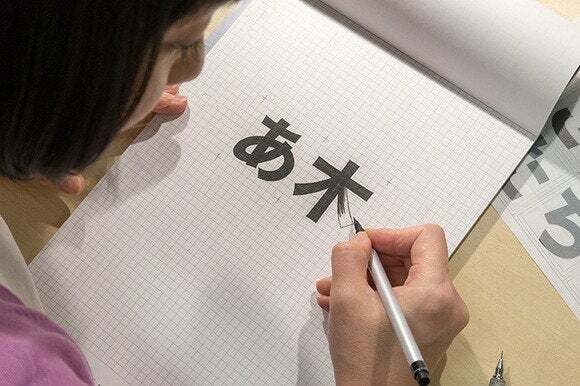 More than three years in the making, this is one of Adobe’s most complex font projects, requiring cooperation among five different companies to accurately represent the more than 65,000 glyphs (characters) required for typesetting in Chinese, Japanese and Korean (CJK) languages. 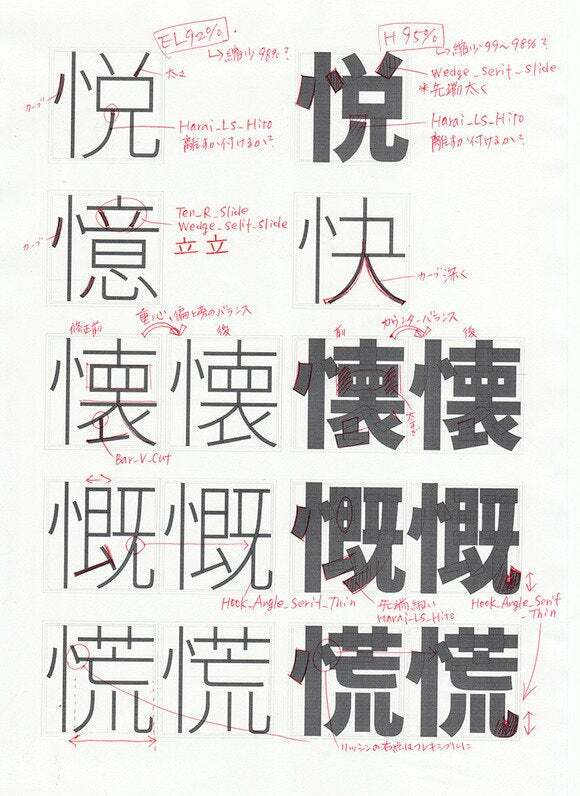 East Asian fonts, which serve approximately 1/4 of the world’s population, are historically based on Chinese ideograms. They’re also large, complex and expensive—with far fewer style choices available than western fonts. Because of the huge scope of this project, Adobe worked with Google and three other companies to spread the work and utilize specific regional expertise. The result is the largest open source font ever created. Adobe managed the project and provided design and technical expertise, while Google funded the other partners, helped define requirements and provided testing and feedback. (Adobe type designer Ryoko Nishizuka is pictured at the top of this article, drawing some of the characters for Source Han Sans. CJK expert Ken Lunde managed the complex specifications and coordination of the project.) In return for their effort, Google is also releasing the font under the name Noto Sans CJK. The font also supplies all necessary regional glyph variations within each language—up to four variations per glyph. This feature is especially important when typesetting documents for Hong Kong, Taiwan, and some regions within East Asian countries where local variations are required. Ideograph U+9AA8 ("bone"). From left to right: Simplified Chinese, Traditional Chinese, and Japanese/Korean (shared). Source Han Sans includes seven weights, from Light to Heavy, for a total of 450,000 glyphs. Even so, the font’s file size weighs in at about half that of other CJK fonts: less than 19MB instead of 40MB required by others—an important consideration for authors of digital documents and apps. To reduce font size even further, users may choose to download only specific languages, at about 5MB each. Each glyph was meticulously crafted by hand, in each language, to ensure authenticity as well as readability. Source Han Sans is available from Adobe through its Typekit service. Subscribers to Adobe’s Creative Cloud automatically have a Typekit subscription, while others can sign up for their free trial subscription that provides access to more than 130 fonts (78 families), with up to 20 fonts synced (active) at once.